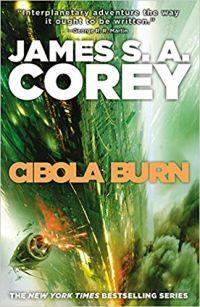 The explosive fourth novel in James S.A. Corey's New York Times bestselling Expanse series. Now a major television series! "An empty apartment, a missing family, that's creepy. But this is like finding a military base with no one on it. Fighters and tanks idling on the runway with no drivers. This is bad juju. Something wrong happened here. What you should do is tell everyone to leave." The gates have opened the way to a thousand new worlds and the rush to colonize has begun. Settlers looking for a new life stream out from humanity's home planets. Ilus, the first human colony on this vast new frontier, is being born in blood and fire. Independent settlers stand against the overwhelming power of a corporate colony ship with only their determination, courage, and the skills learned in the long wars of home. Innocent scientists are slaughtered as they try to survey a new and alien world. The struggle on Ilus threatens to spread all the way back to Earth. James Holden and the crew of his one small ship are sent to make peace in the midst of war and sense in the midst of chaos. But the more he looks at it, the more Holden thinks the mission was meant to fail. And the whispers of a dead man remind him that the great galactic civilization that once stood on this land is gone. And that something killed it. There are 272 listings and 130 reviews.